I can’t believe today’s the last day of summer! While some bloggers have excitedly prepared for fall since August, I’ve been mourning the end of summer. In Ohio, summer is the one season that actually follows the calendar year. It starts to feel like summer in the middle-to-end of June, and it stays pretty summer-ish until the beginning-to-middle of September. Ohio’s beautiful summers almost make the harsh winters worth the four to five months of brutally cold misery. Dan and I have had an amazing summer, starting with my birthday in June and lasting until the charity croquet tournament we competed in this weekend. While much of Summer 2014 made it onto the blog, some of our adventures didn’t quite provide enough material to warrant their own blog posts. June 6-8: Dan and I spent the weekend in Lexington, Ohio for my birthday (and so Dan could drive his car at the track). Highlights: my morning at the spa, dinner at the wine bar. June 13: Dan and I hosted a wine party for my birthday! Friends came over for wine, cheese, and other birthday treats. We hung out, ate delicious goodies, and played board games! Highlights: I got wine-drunk and told Megan I want a baby without being pregnant. June 14: Dan and I went to Columbus to see Libbi and Henry for my birthday. We first had a picnic at Pierce Field, a park in Grandview. Then we went to Digfest where we tried different alcohols and delicious food! And I got sunburned because I didn’t put on sunscreen for our two-hour drive in the Miata from Findlay to Columbus. Check out my awesome seat-belt sunburn… Highlights: Being the first person to guess correctly the honeymoon Henry has planned for him and Libbi (yeah, she knows now, so I can say that). June 20-22: I spent the whole weekend with Libbi and Henry! Dan had another track weekend, so it was the perfect opportunity to enjoy quality time with my besties. Friday night they cooked me delicious chicken curry and rice. Libbi and I took a quick shopping trip. All three of us cleaned, cooked, and prepped for their party the next night. Saturday we all celebrated Pride! Saturday night, Libbi and Henry threw a Solstice Party! Highlights: So much yummy food. Libbi made a delicious ginger lemonade that I drank all night. June 28: Dan and I attended the Libertarian Party National Convention! Highlights: Meeting Governor Gary Johnson! Swoon! Also meeting Gregg Norris, who’s running for Ohio State Representative. July 3: Megan and Dave threw a 4th of July party! Highlights: Hanging out with Megan, playing with the sparklers. July 4: I started my blog!!!! July 12: Cynexis threw a party for contractors, family, and friends while Ashish was in town. Dan and I later grabbed dinner with Angela and played a board game afterward. Highlights: Meeting Ashish after knowing him for almost three years! July 19: Dan competed as part of the Marathon Marauders in the Toledo Dragon Boat Races. Highlights: Wearing matching pirate costumes! July 21-24: Angela visited me while Dan traveled for work! Highlights: Taking Angela with us to Game Night. August 1: Dan and I threw a birthday party for Harry Potter! It was very last-minute, and I took almost no pictures. But we had so much fun! I made licorice wands, and we drank butterbeer! The butterbeer was absolutely delicious, and guests had the option of adding schnapps to make alcoholic versions. We played the Harry Potter movies in the background, and even spent some time watching. Highlights: Dressing up as Hermione (yet again), but this time, with my official Gryffindor t-shirt (Christmas gift from Dan) and official Time-turner (anniversary gift from Dan). August 2: Rib-Off and Car Tunes! Highlights: Getting my library card. August 8-9: Flag City Balloon Festival, with no hot air balloon rides. Alas. Highlights: Meeting Miss Ohio! August 15: The Fleck-Martini-Long family got together to celebrate Dan’s and Mary Kay’s birthday a bit in advance. 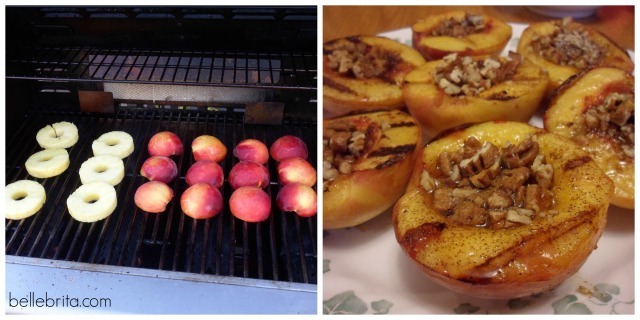 Paul grilled out all sorts of delicacies for dinner, including pineapple rings and peaches for dessert! Highlights: Giving Mary Kay her present, a small canvas of one of our wedding photos with all four parents. August 23-24: Dan and I spent the whole weekend at Cedar Point! Highlights: Playing games while waiting in line. August 30-September 6: Our trip to Colorado and to Utah! I’ve only scratched the surface on everything we did. 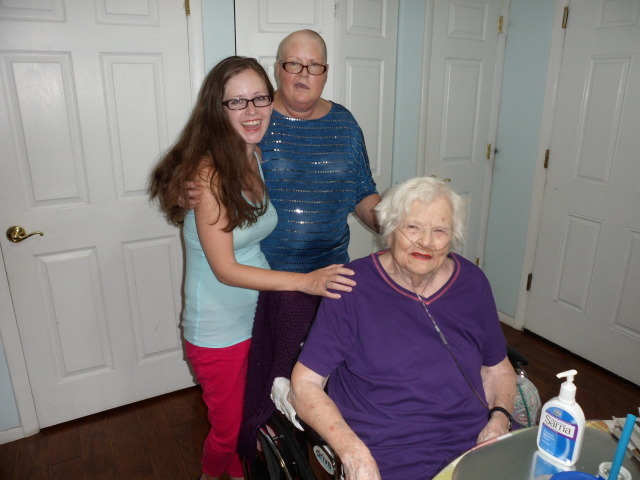 Highlights: Spending time with my mom and my grandma. Obviously seeing Daddy and Jeremy was great, plus catching up with all the Haugens, but seeing Mom and Grandma was most important. Grandma has been in hospice care since June, and since our visit just a few weeks ago, she’s been in rapid decline. Mom was in-between rounds of chemotherapy during our trip, and has since then started her second round. I love them both so much, and I wish I could be with both of them every day. Being so far away from my family is the hardest part of living in Ohio. September 13: Dan was a groomsman in the vow renewal ceremony for our friends Eddie and Krystal. Highlights: Their ceremony was pure perfection. It suited them as a couple so perfectly. Also, Dan looks really cute in a cowboy hat and boots. September 20: Dan and I attended a charity event for the history museum of Kappa Kappa Gamma. Wickets in Wonderland: A Croquet Soiree was an absolute blast, and I love doing whatever I can to support my sorority’s history museum. I dressed up as the White Rabbit. Dan was the Cheshire Cat. Angela was the Mad Hatter. Afterward, the three of us celebrated Angela’s birthday (just a few days late) with Dirty Frank’s, 16-Bit Bar & Arcade, and bowling! Highlights: Playing croquet, rather badly. Running into a nerdy bachelor party of guys in Star Wars masks. I cannot believe how much Dan and I did. It’s been an amazing summer, but wow, have we stayed busy! Our autumn calendar looks just as full, with two bridal showers for Libbi (one includes a bestie road trip! ), Harry and Celia’s wedding, a corn maze and pumpkin picking, a film festival, and Libbi’s bachelorette party. Oh, and the Fleck men are all going to Las Vegas for Dan’s “no longer a bachelor” bachelor party. (The hazards of having a short engagement–no time to plan epic trips prior to the nuptials!). What did you do this summer? Are you ready for fall? Share your past vacations or upcoming plans in the comments!